Necco stands for the “New England Confectionary Company,” which also produces nostalgic-but-not-necessarily-tasty candies like Mary Janes, Clark Bars, Candy Buttons, and Squirrel Nut Zippers. Looks like Necco has quite a run on the Halloween candy you’d leave at the very bottom of your plastic pumpkin. And yet, faced with never throwing a black disc into a toll booth basket ever again, CandyStore said that it received 167 panicked phone calls about the candy-ending news, and reports that one women offered to trade her car for the company’s entire Necco wafer stash. Necco also makes Valentine’s sweetheart candies, which we can almost see getting excited about losing. 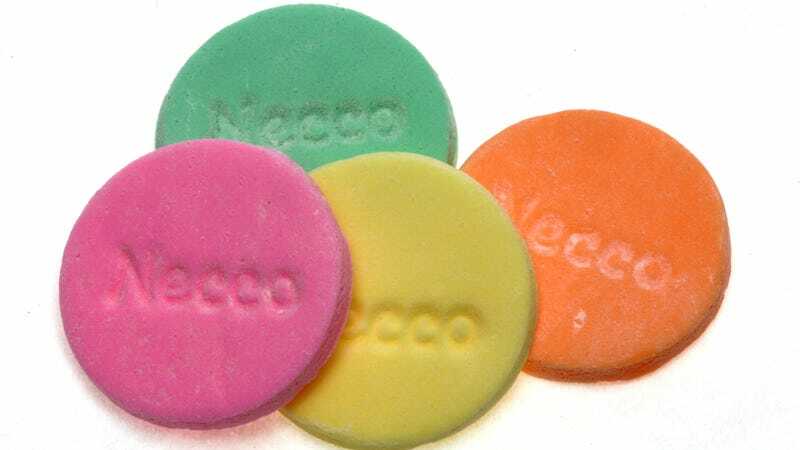 The rest of the panic seems straight-up bizarre—but may actually help Necco find a buyer to help keep the company’s doors from closing forever.